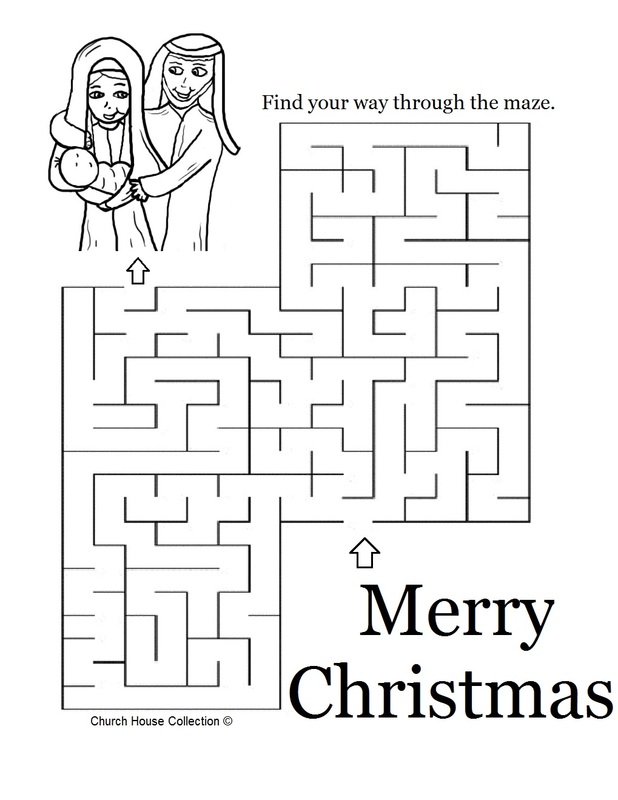 Just print this Christmas Nativity Maze of Mary Joseph and baby Jesus off and let the kids find their way through the maze. Have them color the picture of Mary and Joseph. 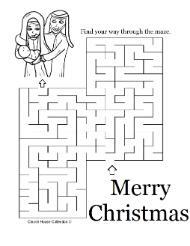 Use this maze to go with our Nativity Sunday School Lesson we offer. It has matching materials that goes with it.